Our goal is simple – to be the leading destination of high-quality, personal defense video content online and a no-nonsense gathering place for those serious about arming themselves for defense in every aspect of their lives. We found there was a need for high-quality personal defense instructional videos, so we searched out the top instructors in the field and produced the Personal Firearm Defense DVD Series. We partnered with Rob Pincus, a personal defense industry leader and owner of I.C.E. Training, to provide instruction on our DVDs as well as act as executive director for PersonalDefenseNetwork.com. Personal Defense Network (PDN) brings together the insight and training expertise of the best instructors in the industry, and has become the go-to resource for conscientious civilians, law enforcement personnel and military operators interested in defending every aspect of their lives. PDN contributors are a hand-picked group, representing all facets of personal defense, so you will have the best the web has to offer, all in one destination. Rob Pincus is a professional trainer, author and consultant. He and his staff at I.C.E. Training Company provide services to military, law enforcement, private security and students interested in self-defense. Rob is the developer of the Combat Focus Shooting program, the most efficient defensive firearms training methodology available today. Rob provides efficient training methodologies to those interested in developing firearms, tactical operations and defensive skills. These methods stress gaining maximum value from limited training resources and working well with what the body does naturally under real world conditions. From 2003 through 2007, Rob was the Director of The Valhalla Training Center in Montrose, Colorado. 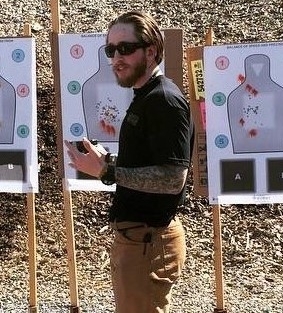 Rob developed the training doctrines and programs that brought Valhalla to the attention of the entire shooting industry as a leading source of reality based firearms training. During this time, Valhalla was identified by the Rand Corporation as a leader in private sector reality based training and as a sole source provider to 10th Group Army Special Forces for Extreme Close Quarters Counter Ambush training. Rob and his I.C.E. team are also regularly sought out as a Team Building and Leadership Development consultants by business leaders and multi-national corporations and conduct programs involving firearm familiarization and other unique experiences. Recently, Rob has focused on program and instructor development. Instructors groups that have sought out Rob’s expertise and integrated components of his programs include the Chicago Police Department FTU, South Wales Police Department Training Unit (UK), NSW SEAL Qualification Training, Bavarian Polizie (DE), Orange County (FL) Sheriff’s Office and 19th Group Army Special Forces. Rob also conducts an annual conference for certified Combat Focus Shooting Instructors. William Aprill is a career mental-health professional with over 20 years’ experience across the continuum of clinical care. He maintains a private practice and consultancy specializing in post-traumatic interventions and other disciplines. A former deputy sheriff (Orleans Parish, LA, Criminal Sheriff’s Office) and Special Deputy US Marshal (Eastern District of Louisiana), he is a decorated competitive shooter and has taught civilian, law enforcement, and military personnel in various fighting skills since 1990. William has presented his material on violent criminals and their decision-making, defensive incident aftermath, mindset development, and self-protection preparedness to audiences in over 30 states. He is one of the expert contributors featured in the highly acclaimed Outdoor Network series Best Defense. He authored a chapter on violent criminals in Massad Ayoob’s anthology Straight Talk on Armed Defense: What the Experts Want You To Know, and is the subject of two Personal Defense Network DVDs of his original training material on defensive decision-making and mindset development, Violent Criminal Actors and The 5W’s of Personal Defense. 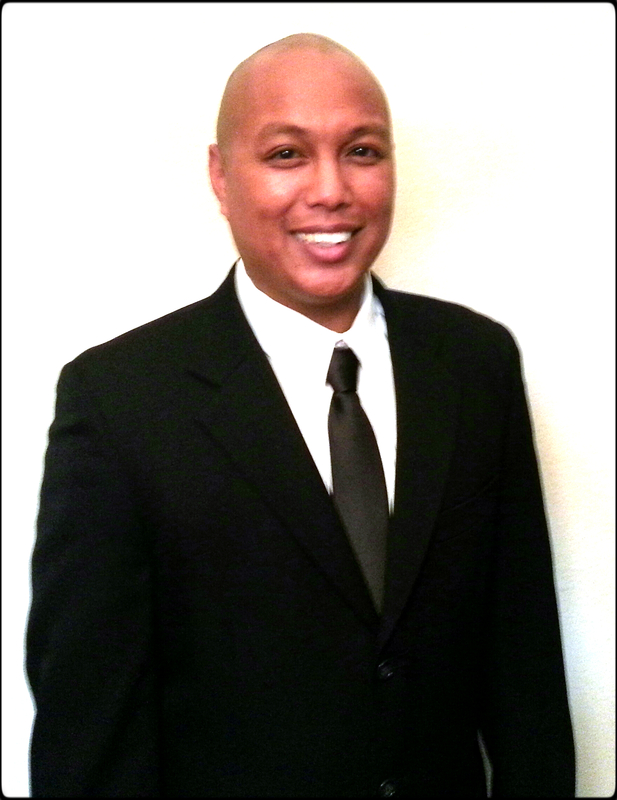 Pablo Birriel is a graduate of Executive Security International’s Advanced Executive Protection program. In 2006, he published the first book on protecting houses of worship, Ministry Of Defense: Executive Protection for the Ministry. He conducts MOD seminars throughout the U.S., covering observational psychology, CCW for ministry team members, servant leadership, and close quarters combat. He completed the Virginia Department of Criminal Justice’s 13E instructor development program and is a certified NRA firearms instructor. Pablo is ministry head of security for Restoration Christian Church in Newport News, Virginia. The second book in the MOD series, 7 Elements of Combat, is in print and he is finishing the third book, Lexicon. It teaches how to use improvised weapons by means of an advanced system of cataloging. Omari Broussard is the founder and director of training at 10X Defense in Menifee, California. He is also a lead Combat Focus Shooting instructor and adjunct instructor for I.C.E. Training Company. He carries certifications from I.C.E. Training, CrossFit, Blauer Tactical Systems, the National Rifle Association, and the U.S. Navy. Omari has led and designed training programs in Maritime Interdiction Operations for various U.S. Navy Visit, Board, Search and Seizure Teams. He has extensive experience training military, law enforcement, security professionals, and private citizens in combatives and defensive shooting. He continues to work with armed professionals and private citizens as an instructor and consultant. As a founding member of the Association of Defensive Shooting Instructors, he hopes to make valuable contributions to the future of the firearms training industry. Omari Broussard can be contacted at omari@10xhq.com. Cecil Burch has been pursuing his passion for Martial Arts since he was 16. He has trained in a number of fighting methods and held teaching certifications in such diverse arts as Jeet Kune Do, Savate and Muay Thai. He is a black belt in Brazilian Jiu-Jitsu under Megaton Dias. He was also one of the original select group of people authorized by Rodney King, creator of the Crazy Monkey Defense (CMD) boxing system, to teach CMD. He is currently one of the four highest-level CMD trainers in the world. Cecil has worked with law enforcement officers, military special operations troops, and private citizens on the functional utilization of Brazilian Jiu-jitsu, boxing, and clinch-fighting in close quarters combat. 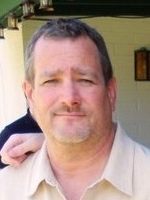 Evan Carson is the founder and lead instructor of InnovativeDefensiveSolutions.com, llc (IDS) based in northern Virginia. Evan is also the host of the Personal Defense Talk Podcast. IDS is a personal defense training company that specializes in realistic and practical defensive handgun course work. It also provides concealed carry permit courses, pepper spray courses, and instructor development opportunities. 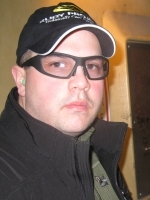 Evan holds many certifications, notably the Combat Focus Shooting Instructor and Defensive Firearm Coach certifications. Evan is also a founding member of the Association of Defensive Shooting Instructors. Evan and IDS have been featured in numerous personal defense publications. Evan can be reached at Evan@InnovativeDefensiveSolutions.com. You can also visit the IDS website at InnovativeDefensiveSolutions.com or Facebook.com/InnovativeDefensiveSolutions or on Twitter and Instagram @IDStraining. 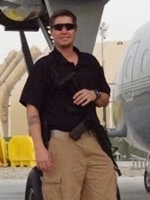 Caleb Causey has been involved with field and tactical medicine for over 15 years. 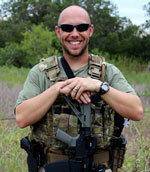 Caleb is the owner of the field and tactical medical training company, Lone Star Medics. He served as a combat medic in the United States Army and has had multiple deployments. He spent six years with a volunteer fire department. During that time, Caleb was also the lead medic for the SWAT team. Caleb has earned multiple instructor and provider level certifications at state and national levels in Emergency Medicine. He has been a presenter at several conferences over the years and continues to learn more than he teaches. Lone Star Medics offers different levels of courses for the layperson, healthcare providers, and law enforcement throughout the country. 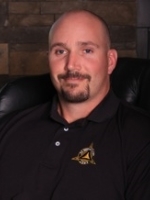 Chris Collins is the owner of ATAP Training in Tulsa, Oklahoma, where he develops and delivers curriculum to a demographic ranging from first-time gun owners to highly trained Special Operations members around the globe. 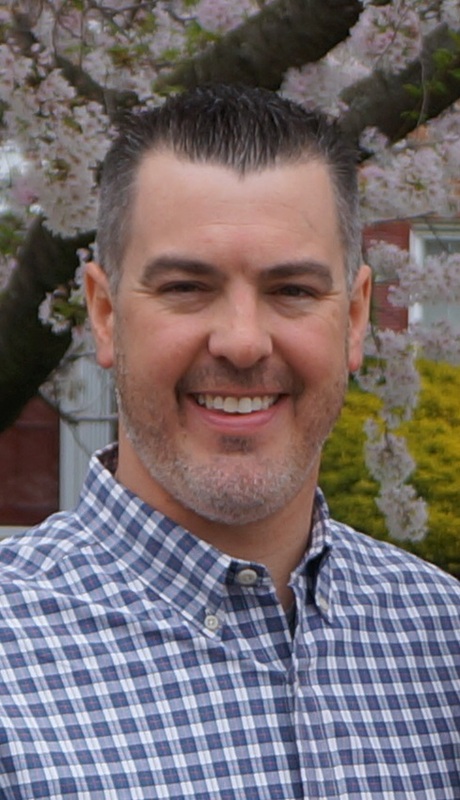 Chris is also the Director of Training at NextLevel Training in Ferndale, Washington and an instructor for the United States Shooting Academy. He is a five-year veteran of the United States Marine Corps, where he served in 3rd Fleet Antiterrorism Security Team Company and 2nd Battalion 8th Marines. 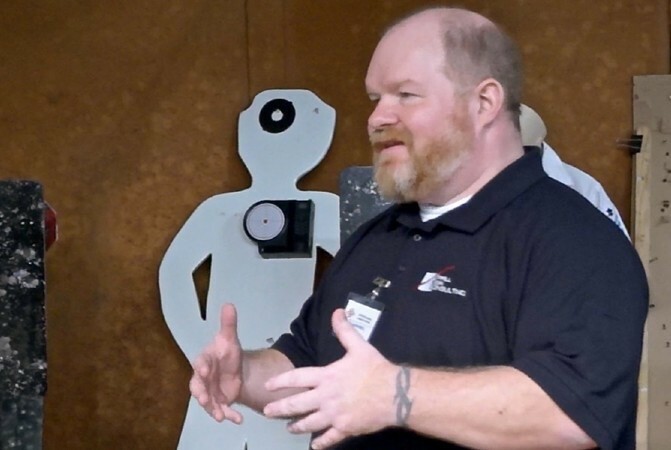 He is a founding member of the Association of Defensive Shooting Instructors and continually strives to find better ways to deliver students information that may someday save their lives. Chris can be contacted at ataptraining@gmail.com. 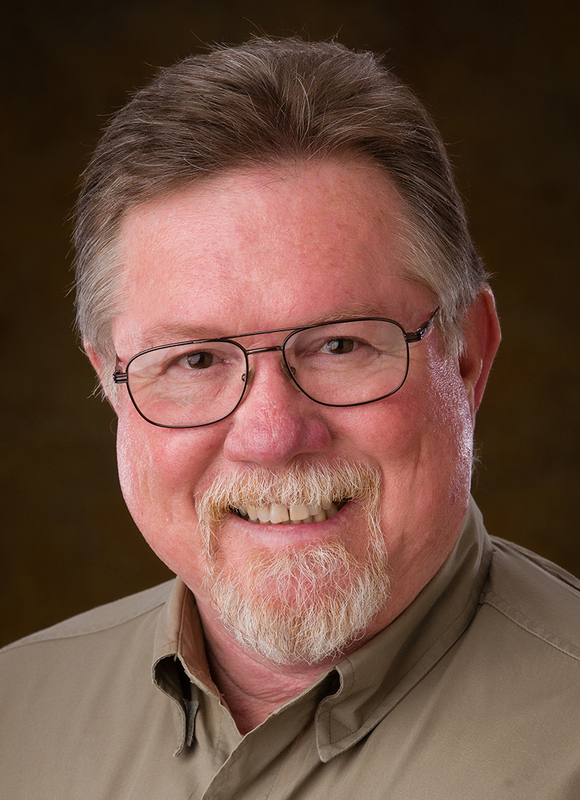 Ken Crawford is the Range Manager and Senior Instructor at Reno Guns & Range, which has received Congressional recognition for being the most advanced indoor training and shooting facility in the northern Nevada region. He is an active Combat Focus® Shooting Instructor, FitShot Coach, and Defensive Firearms Coach, certified through I.C.E. Training. He also holds pistol instructor certifications through the NRA. Ken is part of the leadership team at Reno Guns & Range and helps develop and integrate training programs for youth, civilians, and armed professionals. He can be reached at ken@renoguns.com. Grant Cunningham is a renowned gunsmith, author and trainer noted for his expertise with the double-action revolver. 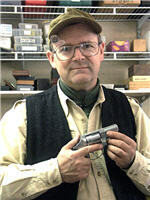 His work on Colt, S&W, and Ruger revolvers has been featured in several national magazines. When he’s not building fine revolvers, Grant can be found on the range teaching proper handling and operation of the double-action wheelgun. Whether for sport or defense, Grant passes on to others the skill of shooting what he calls “the quintessential American firearms.” His engaging teaching style earns rave reviews from his students. Grant is the author of The Gun Digest Book of the Revolver, released in Fall 2011, and also writes a popular blog dealing with a wide range of self-defense and shooting topics. He can be reached through his website, grantcunningham.com. 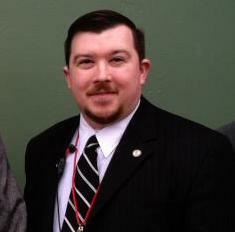 Mike Dasargo is an ASIS Certified Protection Professional, Executive Protection Agent, and Corporate Security Advisor. He began training martial arts at a young age, and has a lifelong interest in the study of kinesiology, sport and combat psychology, and neurosciences related to stress and motor performance. His previous experiences — being raised in disadvantaged neighborhoods, and working as a bouncer, security driver, protection agent, and EMT/tactical medic — have provided additional depth to his understanding of personal defense training efficacy. Mike has been a trainer since 1996, and is an active Combat Focus Shooting Instructor and Association of Defensive Shooting Instructors member. He continues to teach martial arts and personal defense at Contact Kinetics, and Combat Focus Shooting at 10XDefense. Jim Fleming is a self-defense attorney, former police officer, and firearms self-defense trainer in Monticello, Minnesota. He serves on the Board of Advisors for the Armed Citizens Legal Defense Network and is a member of the CCW Safe Legal Panel, the USCCA Critical Response Legal Team, and a member of the Legal Advisory Board for the Minnesota Gun Owners Civil Rights Alliance. He has authored two books, Aftermath: Lessons in Self-Defense and The Second Amendment and the American Gun, as well as co-authoring Straight Talk on Self-Defense, edited by Massad Ayoob. Jim has also written numerous articles on self-defense-related topics for national magazines and journals such as Concealed Carry Magazine and the ACLDN Journal. He is frequently involved in presentations across the nation on self-defense-related legal topics. 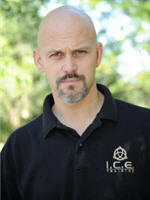 Chris Fry is the owner and director of training and curriculum development for Modern Defensive Training Systems in Utica, New York, where he conducts courses in reality-driven practical combatives, extreme close quarters physical defense, tactical folding knife, edged weapon combatives, and combative pistol, carbine and shotgun skills. Chris has been an active instructor with Progressive F.O.R.C.E. Concepts in Nevada since 2003, servicing law enforcement, military and select government agencies. Chris is a certified AR-15/M4/M16 and Glock armorer, a contributor to various online firearms resource websites, and a frequent presenter at national and international personal protection and small arms training conferences for both citizens and law enforcement. Chris Fry can be contacted at cfry@mdtstraining.com. 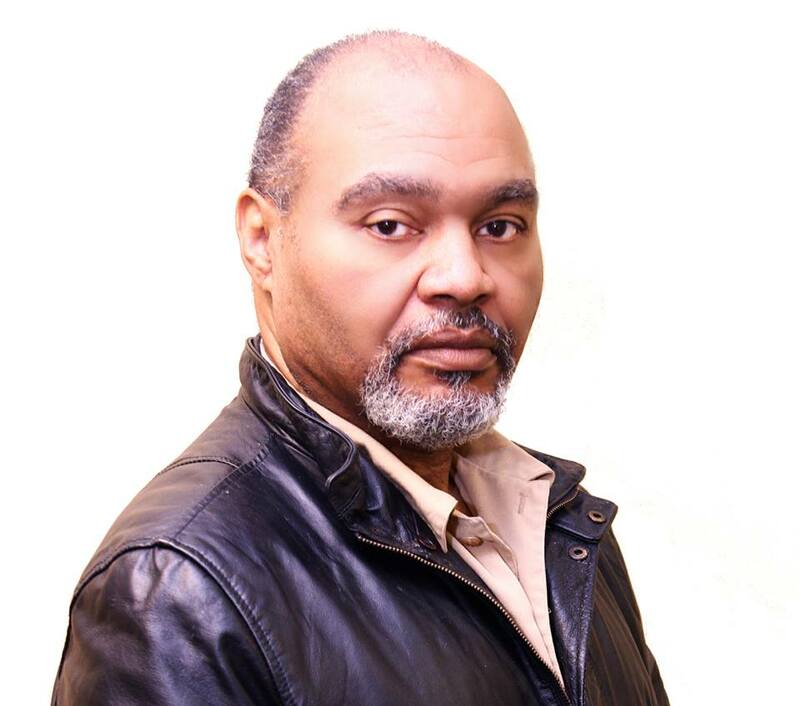 Joshua Gideon is a professional trainer, author, security risk consultant, and Certified Protective Security Specialist. He has over 18 years of risk, compliance, and security management experience in the banking, healthcare, and utility power industries. He is the host of the No Soft Targets radio show, where guests from the protective security industry share security-related information with the audience. Josh teaches a unique “Beyond the Gun” Threat Awareness course, along with his Counter Ambush handgun courses. For more information, visit his website at No Soft Targets and sign up for his podcast on iTunes. If you have a direct question, you can e-mail him at podcast@nosofttargets.com. 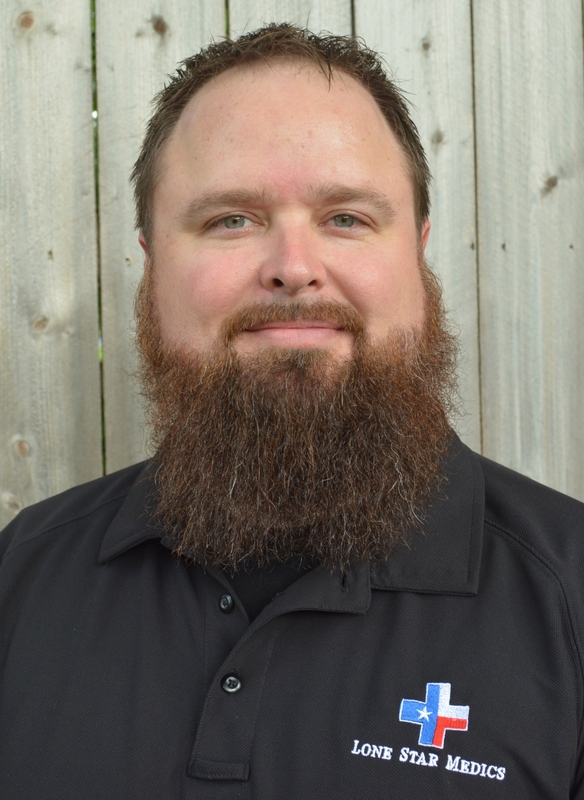 Aaron Israel is a certified Combat Focus Shooting Instructor, a Texas Concealed Handgun License Instructor, and the owner of Fundamental Defense in Midland, Texas. He is an eight-year veteran of the United States Army with experience in Psychological Operations on the enlisted side and as a Captain in the Field Artillery branch on the officer side. He deployed to southern Iraq in support of OIF in 2008-2009 with 4th Brigade, 1st Cavalry Division. He left the service in 2011 and now works full-time in the oil and gas industry while teaching defensive firearms classes on the side. His passion as an instructor is to show average working men and women how to train in context for defensive situations with only limited time and resources. Aaron can be reached at fundamentaldefense@gmail.com. 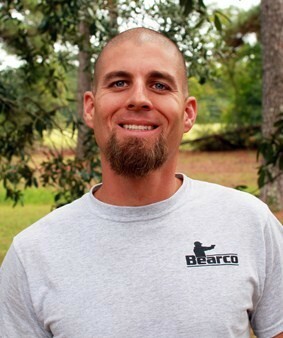 Barret Kendrick is the founder of and lead instructor at Bearco Training in Covington, Louisiana. As Louisiana’s premier reality-based training center, Bearco Training specializes in providing practical defensive skills for everyday people. 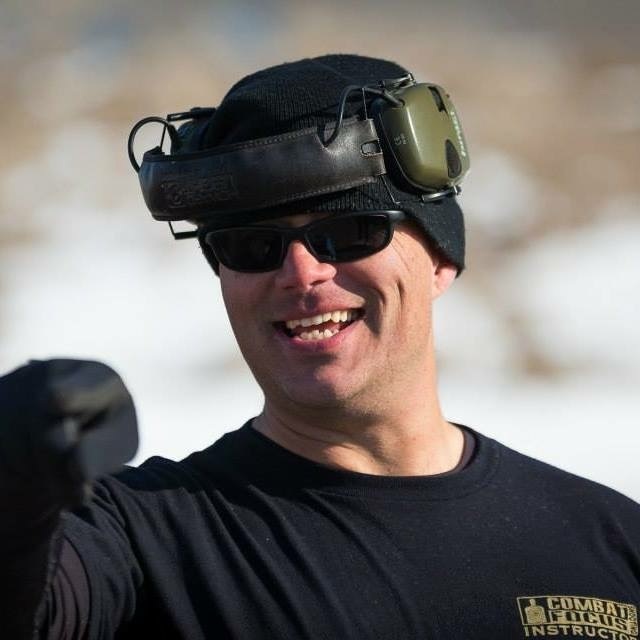 As a full-time instructor, Barret has dedicated himself and his company to provide realistic defensive training to responsible armed citizens, law enforcement, and members of our armed forces. Throughout his region and nationally, he works with hundreds of students annually in defensive shooting and force-on-force training. Barret carries numerous instructor-level certifications for defensive shooting, LE range/shoot-house operations, and scenario-based force-on-force training. He can be reached at barret@bearcotraining.com. Andy Loeffler is the lead handgun instructor at Black Wing Shooting Center, an NASR five-star rated range and gun shop located in Delaware, Ohio. 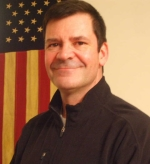 He has been teaching in the private sector since 1999 and is a certified Combat Focus Shooting instructor. A U.S. Army veteran, Andy retired from the Ohio Army National Guard, where he served as the Senior Small Arms Instructor for the State’s Master Weapons Training Team. 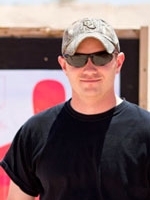 Andy teaches full-time for Black Wing Shooting Center and can be reached via blackwingsc.com. Julie Loeffler, owner and operator of Mid-Ohio IMB (Delaware, Ohio), is an Associate Instructor in the IMB Academy, the school founded by Richard “The Iron Dragon” Bustillo and which continues to teach the concepts of Bruce Lee’s Jeet Kune Do. She is a brown belt under Supreme Grand Master Cacoy Canete in Filipino Eskrima. 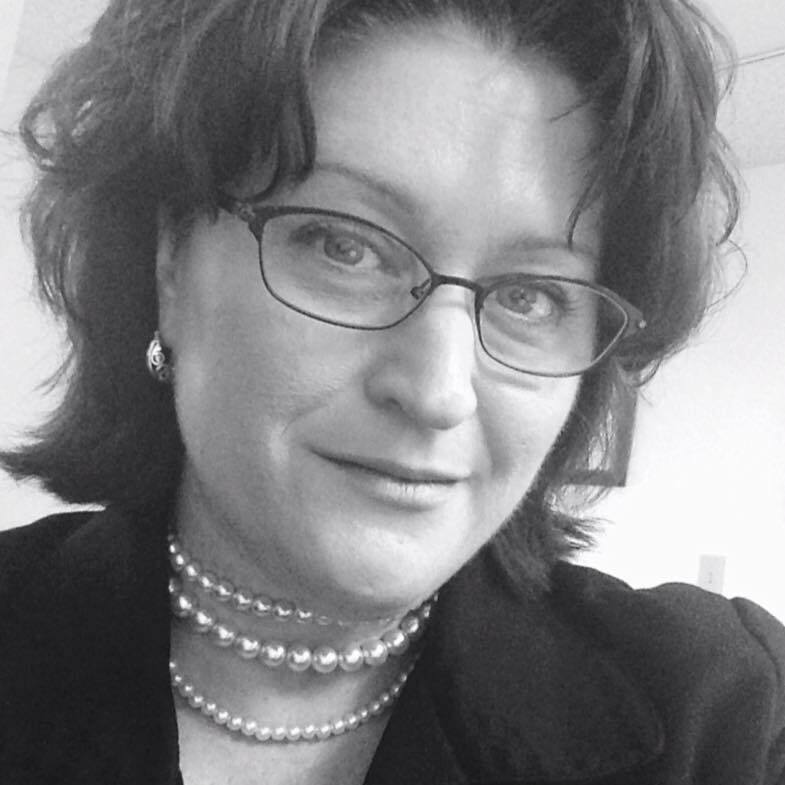 She also teaches handgun basics to women and is a published author for The American Woman Shooter as well as PDN. Julie believes that empowering individuals to identify and adopt what works best for them in armed and unarmed defense is the most practical approach to personal safety. Contact Julie at julie@midohioimb.com or via her website, www.midohioimb.com. 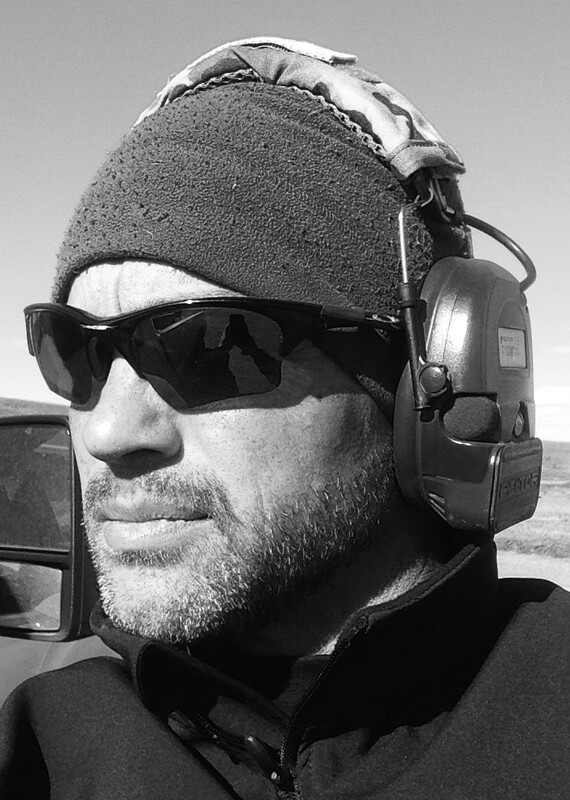 Michael John Lowe is the owner and lead Instructor of High Plains Tactical and Consulting LLC. He has a B.A. Degree in Criminal Justice and a minor in Military Science. He was commissioned as a U.S. Army Infantry Officer. Among various military awards and decorations, Michael is also a graduate of the U.S. Army Ranger School, Airborne School, and Air Assault School. He has served abroad both as a light Infantry Officer and a DOD contractor. 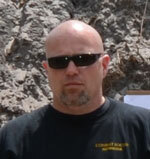 Michael has been involved in the firearms and training industries since 2004 as an instructor and consultant. He is certified as an instructor by the NRA, American Heart Association, and I.C.E. Training Company. He is also a graduate of numerous other professional training and instructor courses. Additional information can be found at www.HPTAC.com. Klint Macro is a trainer, instructor, coach, founder of the Trigger Pressers Union, and most importantly, his family’s first responder. Klint instructs fellow law-abiding citizens, offering defensive, safety, and marksmanship curricula. As an I.C.E. Training Certified Defensive Firearms Coach, NRA Training Counselor (all NRA disciplines), NRA Practical Pistol Coach, Refuse To Be a Victim Regional Counselor, USCCA Training Counselor, and NMLRA Trainer, he educates hundreds of individual students and instructor candidates annually. Klint is also a Project Appleseed Rifle Instructor, Pennsylvania Game Commission Hunter/Trapper Instructor, CMP Master Instructor, Sabre Personal Safety Academy Instructor, Member of the International Association of Law Enforcement Instructors, Glock and S&W M&P armorer, author, and the voice of the L.A.S.R. software. Contact him through his website, www.triggerpressersunion.com. An Atlanta native, Rich Nable started with the Fulton Police Department in 1987 and worked patrol for almost 18 years. He became FTO in 1998 and trained officers in that capacity for seven years. In 2005, he was assigned to the firing range full time and became Lieutenant/rangemaster in 2011. SWAT certified since 2001, he is currently an operator and sniper team leader. He creates and teaches most of the firearms and related programs for the regional police academy and his department. Nable has written two books on police work and is writing a third for instructors/trainers. He’s on the board of directors for the Georgia Association of Law Enforcement Firearms Instructors and is training coordinator for the Georgia Tactical Officer Association. 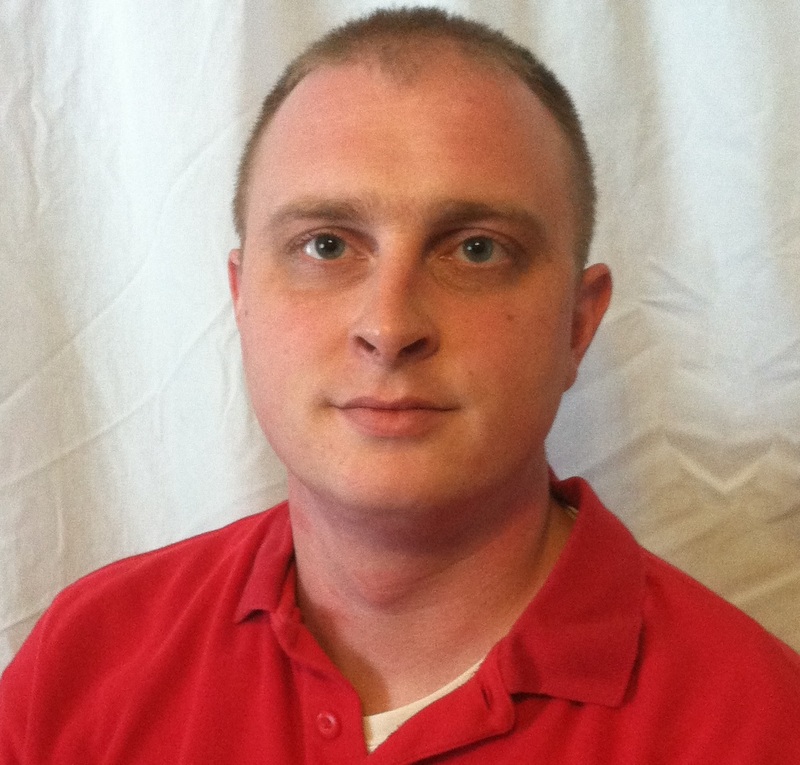 Jarrod Needs is the owner and lead instructor for Trigger Time LLC, located in the Mansfield, Ohio, area. He has been shooting since he was about five years old and learned marksmanship from his father. In 2012, Jarrod began teaching firearms part-time, but soon found himself extremely busy with students driving from all over Ohio for his courses. Jarrod is a constant student and loves training and learning new concepts in defensive firearms. He is currently NRA Certified in Basic Pistol and Personal Protection, and recently completed the Association of Defensive Shooting Instructors’ Intuitive Sighted Fire Instructor Development Course. Jarrod’s courses focus on concealed handgun self-defense, and his students range from beginners to retired law enforcement and military. He can be reached at info@triggertimeohio.com. A former Marine, EMT, and firefighter, Kent O’Donnell has eight years in the police service. He has served in the Patrol Division, Street Crimes Unit, and Training Division. Kent holds a Bachelor’s Degree from Fort Lewis College. With Black Sheep Tactical Training, he focuses on student success by providing positive reinforcement and a learning environment that promotes receptive students. Jamie Onion is an active law enforcement officer in the State of Ohio, where he also teaches at several colleges in their Criminal Justice programs. He has been a law enforcement instructor for 10 years. Jamie holds instructor-level certifications for the state law enforcement academy, Handgun, Rifle/Carbine, Sub-machinegun, TASER, O.C/Pepper Spray and Baton. He is also a certified Combat Focus Shooting™, Combat Focus Carbine, and Advanced Pistol Handling Instructor. He runs his own training company for LEO, military and civilian students. His educational background consists of both a Bachelor of Science Degree and a Masters of Public Administration. In addition to his instructor credentials, Jamie has attended several hundred hours of firearms and other training from some of the world’s top instructors and continues to do so regularly. Alessandro has been practicing Martial Arts since childhood. This passion and quest for better ways to prepare for self-defense brought him to Blauer Tactical Systems, where he became a Personal Defense Readiness Instructor in 2007. He has also taught defensive firearms classes for Delta Firearms Academy and is currently a Combat Focus Shooting and I.C.E. Training instructor and a CrossFit trainer. He started Safer Faster Defense in 2011. Its mission: through education and training, to give clients the knowledge and tools to stay safe and prepare to prevail in dangerous situations. In 2012 he finished developing the Safer Faster Knife Defense program which provides a simple and intuitive knife training program that quickly makes students more confident and efficient in deploying and using a knife for personal protection. Alessandro is also known for the programs he has developed with others: FitShot, which strives to inspire a higher level of fitness in the shooting community, and the Reality Based Training Instructor Development course for civilian firearms instructors. 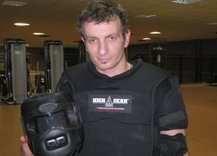 You can learn more about Safer Faster Knife Defense and contact Alessandro through his website at saferfasterdefense.com. Deryck Poole is a veteran of the United States Marine Corps and the founder and director of training for Echo-5 Training Group. He is also a senior Combat Focus Shooting instructor and works for I.C.E. Training as a staff instructor and outside instructor liaison. He also holds certifications from I.C.E. Training and Glock Inc, plus multiple NRA instructor certifications. 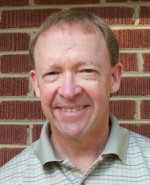 Deryck has 17 years of experience as an instructor. He conducted training for both combat and non-combat personnel while serving as a rifleman and range safety NCO in the Marines. He continues to work with both armed professionals and lawfully armed citizens as a firearms and defensive shooting instructor. He believes all instructors should consider themselves a student first, so he regularly attends training from some of the world’s top instructors. He is a member of the Association of Defensive Shooting Instructors. 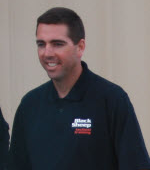 Mike Seeklander is the owner and operator of Shooting Performance, based in Tulsa, Oklahoma. A combat veteran of Desert Shield and Desert Storm, Seeklander served five years of active duty and four years of reserve duty in the U.S. Marine Corps, where he was an intelligence specialist and marksmanship instructor. He also has local and federal law enforcement experience, including more than 10 years as a full-time or lead instructor. 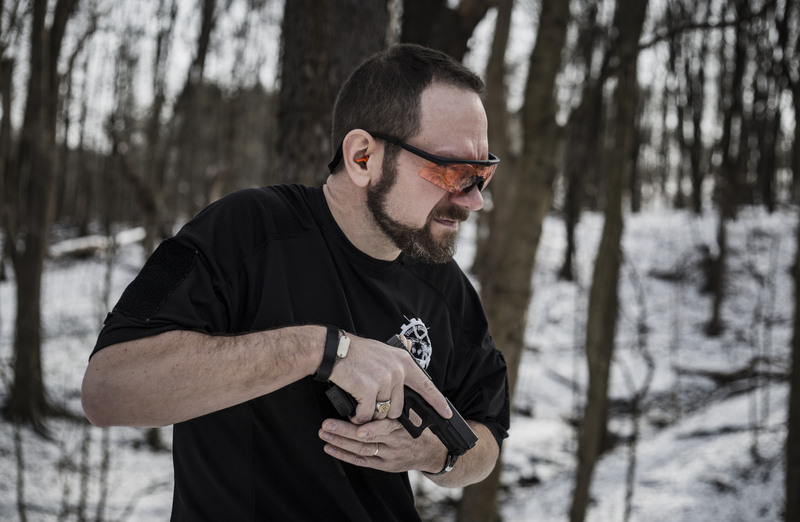 In addition to running live course, Mike has written two books, dozens of articles and hosted television shows related to firearms and personal defense instruction. Seeklander served as the Branch Chief and lead instructor for the Firearms Division at the Federal Air Marshal Training Division in Atlantic City. He was responsible for the development, implementation and supervision of all firearms and tactical shoot-house instruction for the Federal Air Marshal Service. Ian Strimbeck is a veteran of the United States Marine Corps and head instructor at Freedom Hill Gear. He has been deployed twice, once in support of OIF and then in support of the 22nd MEU as an Infantry Rifleman. He is a Combat Focus Shooting instructor, Fit Shot coach, and founding member of ADSI. Ian is a Salem State University graduate and attained a Bachelor of Science degree in Communications. 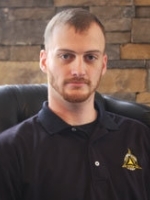 Ian has trained under combatives instructors such as Craig Douglas, Cecil Burch, Chris Fry, and Tom Sotis. When not teaching, Ian is a student of Brazilian Jiu Jitsu and CrossFit. He also works for Resolute Security Group providing Executive Protection services for international dignitaries, VIPs, and celebrities. Ian can be reached at istrimbeck@freedomhillgear.com. 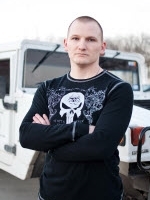 Lee Vernon is the founder and CEO of Combative Weapon Solutions, based out of Austin, Texas. CWS’s diverse and highly trained core of instructors are seasoned and active law enforcement officers, firefighters/EMS, and military personnel who have well over 50 years of combined real-life street experience dealing with the realities of violence. Lee can be reached at Lee@combativeweaponsolutions.com. Visit the CWS website at combativeweaponsolutions.com or the CWS YouTube Channel for more information. CWS also conducts product testing, evaluation and research, and contributes articles to major industry publications. Daniel Watson (aka TAC) is the sole owner and operator of Tactical Awareness Concepts, LLC. Operating out of northeast Texas, he teaches a variety of firearms courses along with the Texas Concealed Handgun License Course. Daniel is a U.S. Army Warrant Officer who retired in 2011 after 22+ years of service. A decorated combat veteran, he now serves as a U.S. Contractor in Afghanistan. TAC is an NRA Certified Handgun instructor, former reserve police officer, professional airplane pilot and helicopter pilot. He can be reached through his website, tacticalawarenessconcepts.com, or by email at tacticalawarenessconcepts@hotmail.com. Claude Werner is a retired U.S. Army officer. He served in Airborne, Ranger, Special Forces and Mechanized Infantry units and commanded a Special Forces A-Team and Bradley Infantry Company. He is an NRA Certified Instructor for Pistol, Rifle, Shotgun, Personal Protection in the Home, Home Firearm Safety and is a Certified Refuse To Be A Victim Instructor®. For five years, he was the Chief Instructor at the elite Rogers Shooting School. Claude is a Four Gun Master in the International Defensive Pistol Association and has won several sanctioned IDPA championships in the revolver division using snub-nose revolvers. Justin White began training in the martial arts at age 15 and never stopped. Upon his wife’s entrance to U.S. Army active duty in 2010, he expanded his focus to defensive applications of armed and unarmed combatives. He is certified to instruct Basic and Tactical Modern Army Combatives and is active in the combatives program at Fort Leavenworth, Kansas. White founded Mad Science MMA to share his passion for martial arts and prepare U.S. service members and their dependents for both the competitive arena and the world stage. He has helped train hundreds of soldiers, including military personnel from more than ten allied nations. He is an NRA certified Pistol Instructor, Jujitsu black belt, and recently became the first civilian trained and certified in the U.S. Army’s Special Operations Combatives Program. Robb Hamic, Marty Hayes, Michael Janich, Andy Langlois, Kristin Larson, Kelly Muir, Mike Riter, Daniel Shaw, Mark Slane and David Williams.